4mm in the gauge so far from slow moving showers. A handy 9mm over 4 hours. 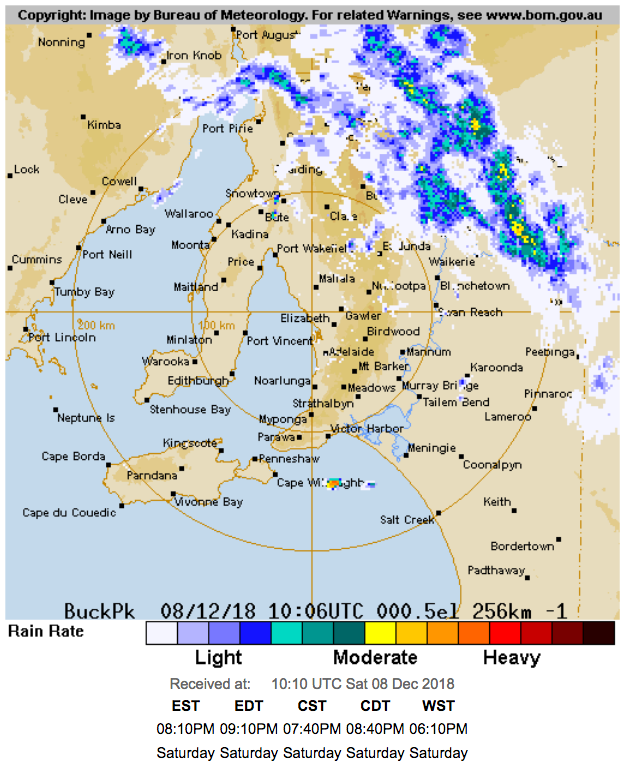 A total of 3.3mm over the last 2 days which falls in the 1-4mm range forecast for Adelaide. For November for me, it's a momentous occasion - after 10 years, I've comfortably broken the long term average for the month for the first time. Prior to 2009, I calculated the long term average to be 27.2; 2016 only just scraped in with 28.8. This time around, it's 50. And of course, it happens in the driest out of the 10 years. Pretty gusty here at the moment. Cool change has arrived down here by the airport. Temperature has dropped by 10 degrees in a couple of hours. Thunderstorms and brief heavy showers here. Generated in 0.489 seconds in which 0.465 seconds were spent on a total of 14 queries. Zlib compression disabled.